He’s had the more midfield time call in the last couple of weeks, so could this be time for Mills to shine? Draft range: Mid round flyer. As Tom Browne would suggest, if you throw enough darts blindly at the board one is bound to eventually hit. Callum Mills has been a popular midpricer for what feels like half the decade. His debut season in 2016 saw him play 20 games averaging 70 and many thought he could break out in 2017. It wasn’t to be, he stagnated at that 70 average but played every game. 2018 was meant to be the year he broke into the midfield and made the jump from inconsistent midpricer to premium selection. A mysterious broken foot held him to just 9 games and we didn’t see him again after the Gridiron incident. That doesn’t change the fact he was still playing as a defender, his average of 74 nothing to write home about. So what changes in 2019? It’s easy to forget that Mills was actually drafted as a gun midfielder. Word on the track is… Mills is set to go bang in the midfield this season. Hear me out. It’s a selection purely based of speculation, I can’t deny that. You can’t put him in your pre-season lineups with any confidence until we’ve seen some evidence in the JLT to backup up ‘match sim’ reports. However it makes a lot of sense. The Swans have always maintained that Mills’ role in defence was designed to grow him as a footballer, just like Heeney has been doing in the forward line. The long term plan is for Mills to become a permanent midfielder. The time to execute that plan has to be now. Sydney crashed out to GWS in embarrassing circumstances and their midfield group is looking old and slow. Hannebery has been shipped off to St Kilda, JPK looks every bit his 30 years of age and Luke Parker hasn’t been in great form for two years. It’s time for Sydney to throw their young stars into the guts and Mills has been training with the midfield group all summer. It’s possible last years injury has woken them up to the fact there’s little point in their prized pick being continually wasted playing as a ‘good’ defender. I take match simulation reports with a grain of salt, but I’m not in the least surprised to hear Mills dominated. If Mills does spend 60%+ of his games in midfield, predicting his average is nearly impossible as we don’t have any data to go on. It’s as risky as selecting a second year breakout, but you’ve got a fourth year gun with a big enough body to compete in the guts. I hesitantly predicted him to average 90, but there really isn’t a ceiling on Callum’s potential if he becomes a full time midfielder. This section is fairly obvious. Not wanting your season to end in tears is a good start. Trying to predict a players breakout year is the equivalent of opening pandora’s box in Fantasy, and there is a HUGE REASON why we should pass here. Horse Longmire. Forever fantasy’s most hated coach, if Mills remains in defence then you’ll be stuck with a player maxed at $522,000 scoring similar to a solid rookie. Mills might be able to creep his average up towards 80 in defence, but it will be a catastrophic failure. It’s a little concerning that we haven’t seen any improvement in Mills’ scoring even in defence, you have very little evidence to go on. Even if he does move into the midfield, there’s no guarantee he will score that well anyway. JACK – There are alarm bells going off everywhere. I can hear sirens in the background. But somewhere amongst all that, is the chance to own a premium midfielder in defence for absolute pennies. His current ownership of 8% seems about right to me, however if he sees plenty of midfield minutes and scores well in the JLT, watch that figure fly. It’s purely speculative for now, but in a months time Mills could be part of the template. His JLT series will deter how high he goes in a draft, I’m hoping for nothing too spectacular. 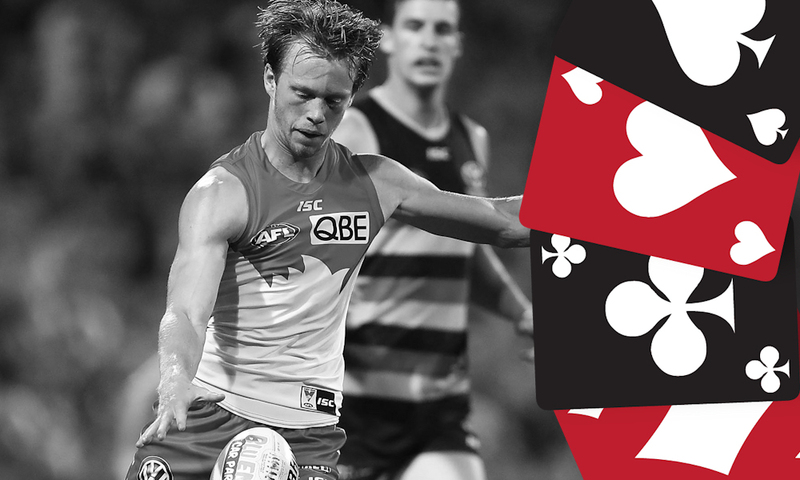 If you have a keen Sydney fan or a bloke who loves to gamble, you may not want to wait too long. He’s on my watchlist and ‘Operation make room for Callum’ is prepared and ready for effect. What does Callum Mills average this year? Hoping he does a David Swallow in 2014 and breaks out a 90+ avg. Currently not in my side but if he dominates JLT I will squeeze him in.